Supervisors voted Tuesday to send a letter to the Nuclear Regulatory Commission, asking for a halt to the plant’s re-licensing because of concern over an earthquake fault near the PG&E-operated facility. In their letter, the supervisors call for further study of the earthquake fault. County emergency services director Michael Harris says the recently discovered fault could generate a magnitude-6.5 quake. 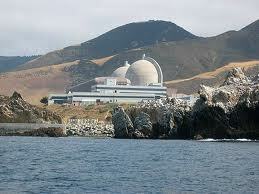 The plant is designed to withstand a magnitude-7.5 quake. The vote in Santa barbara echos similar concerns expressed recently by the San Luis Obispo County Board of Supervisors. or tax it, tax it….then shut it down. If it is GOV”T SECTOR….great ….where is my check ???? What’s your problem…don’t you get a sweet gov’t deserving check like me ??? ANY MORE ? WE gots a big printin’ press, and our money just comes ;cause we deserve it ! we need from China ! AMEN ! 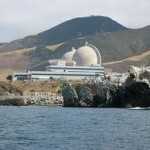 Whereas our lazy Obispan BOS has done nothing to petition the feds to outlaw Santa Maria, which is far more dangerous in a real sense than Diablo Canyon is.